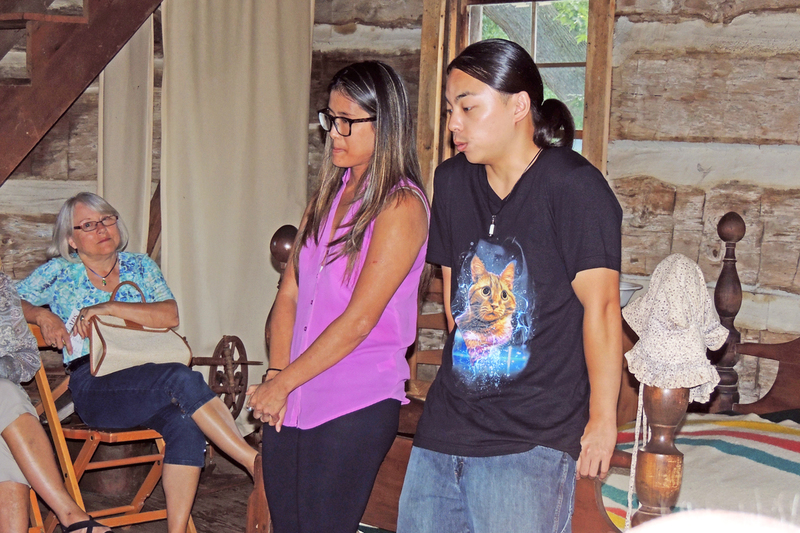 Threads Theatre in the Log Cabin with Monica Mingo and James Polony. 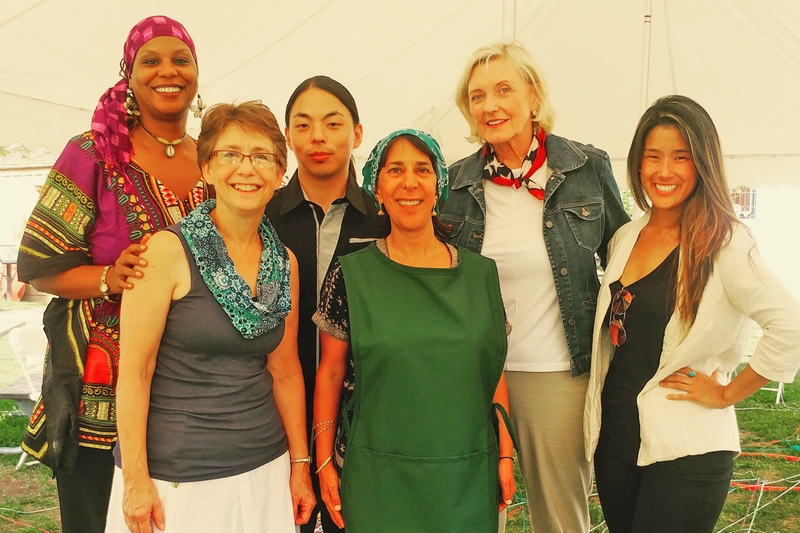 Threads Theatre Cast greets guests: Connie Powers, Amy Coudry Martin, and Assata J.Haki. 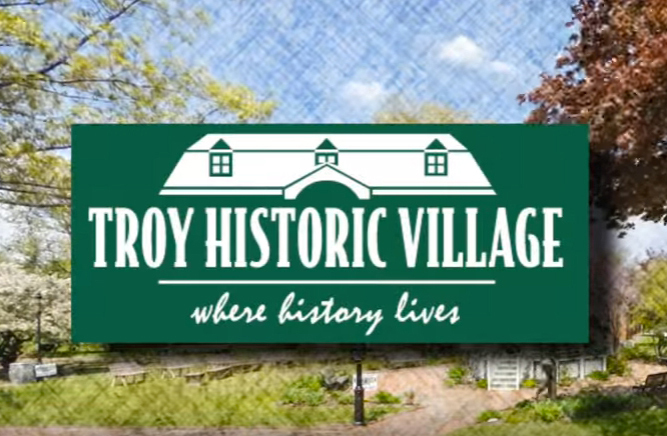 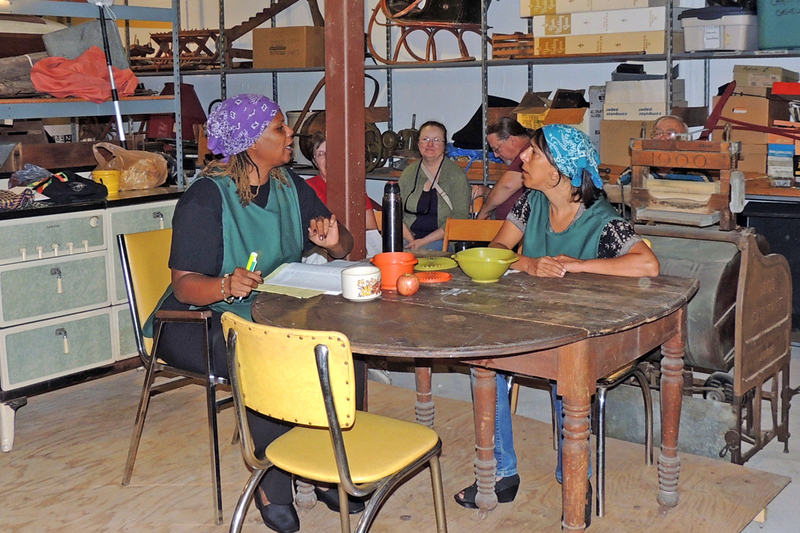 Threads Theatre in the General Store basement with Assata J.Haki and Amy Choudry Martin. 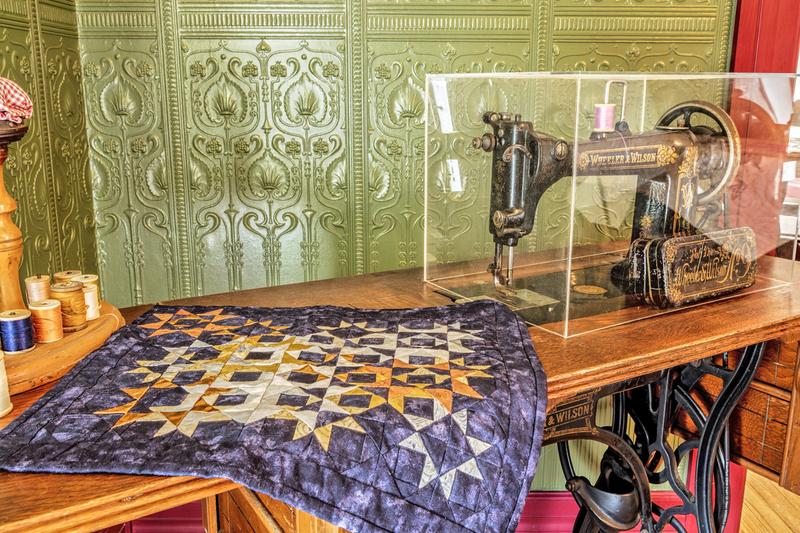 Threads Quilts Exhibit in the Parsonage with Wheeler Wilson Sewing Machine Quilt. 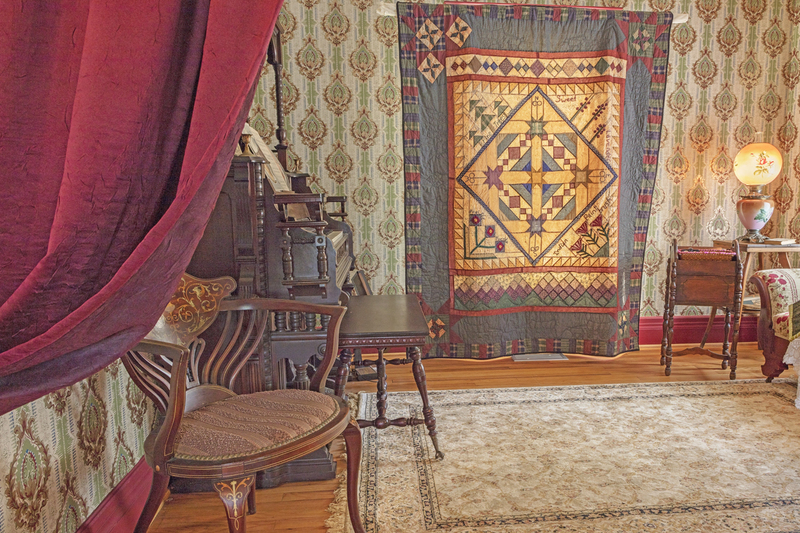 Threads Quilts in the Parsonage Parlor, Organ Quilt displayed. 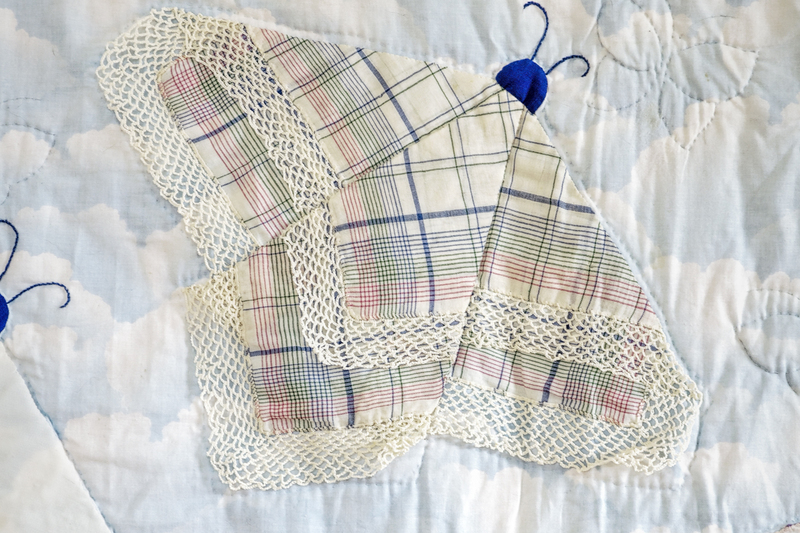 Threads Exhibit showing the Handkerchief Butterfly Quilt close up. 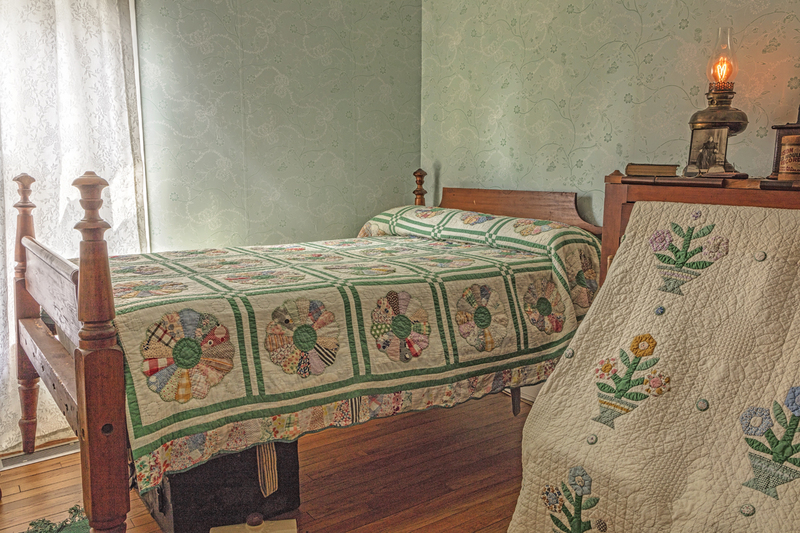 Threads Quilts Exhibit displays Grandpa's Room Bed quilts. 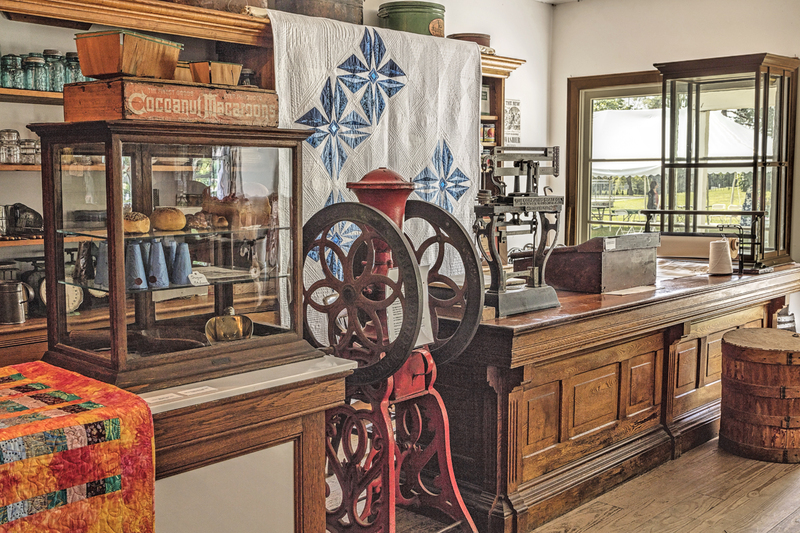 Threads Quilt Exhibit in the General Store. 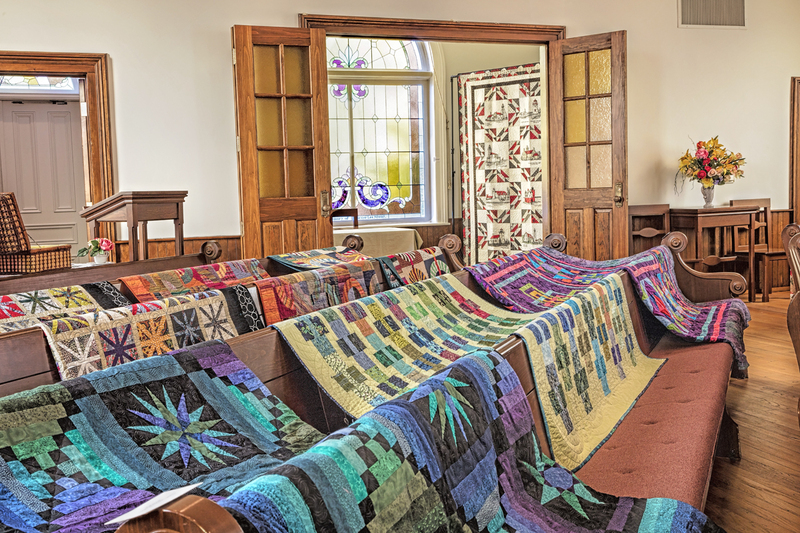 Threads Quilts featured in the Church Bell Room over the pews. 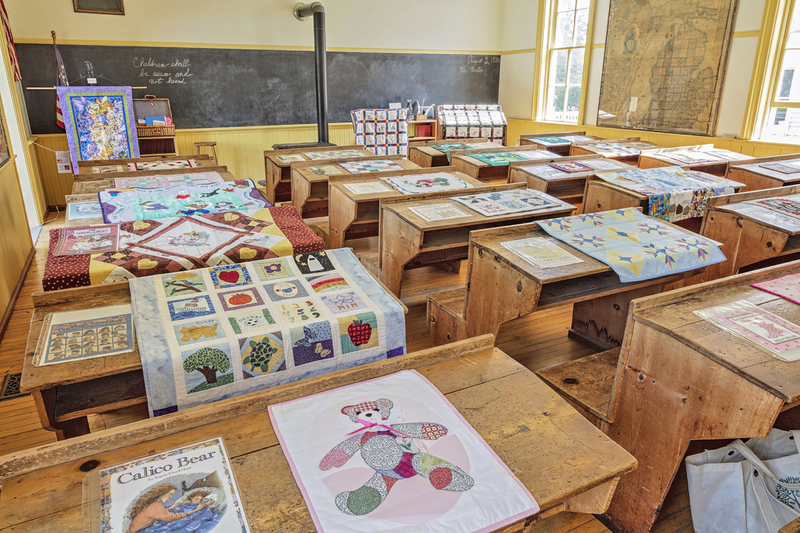 Threads Story Quilts shown in the Poppleton School. 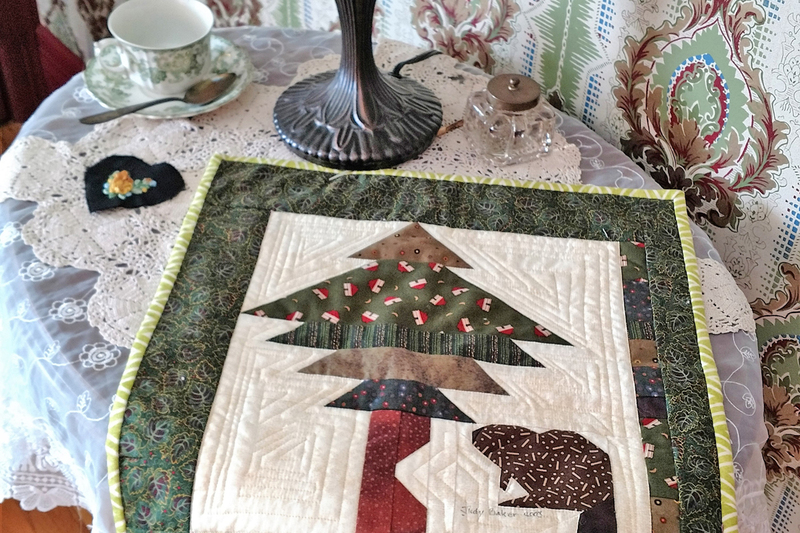 Threads Quilt "Its a Small Pine Tree Or a Really Big Beaver" shown in the Parsonage. 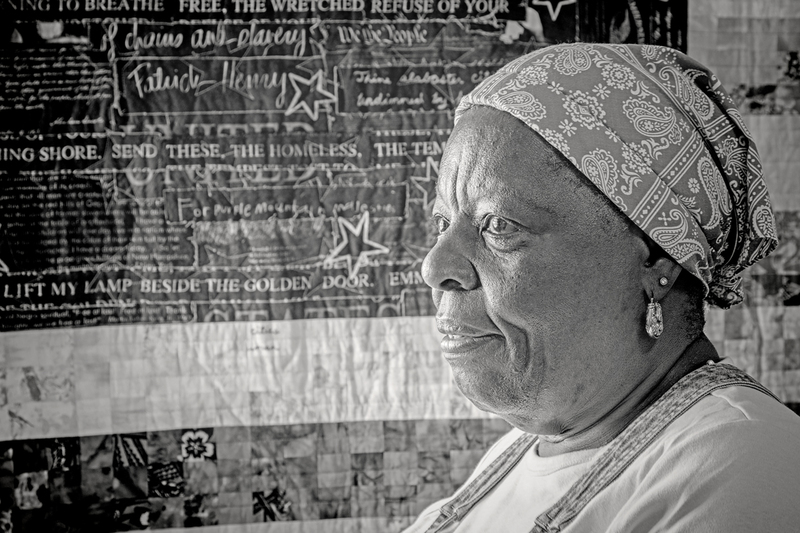 Threads "Flag Quilt" shown with Quilter. 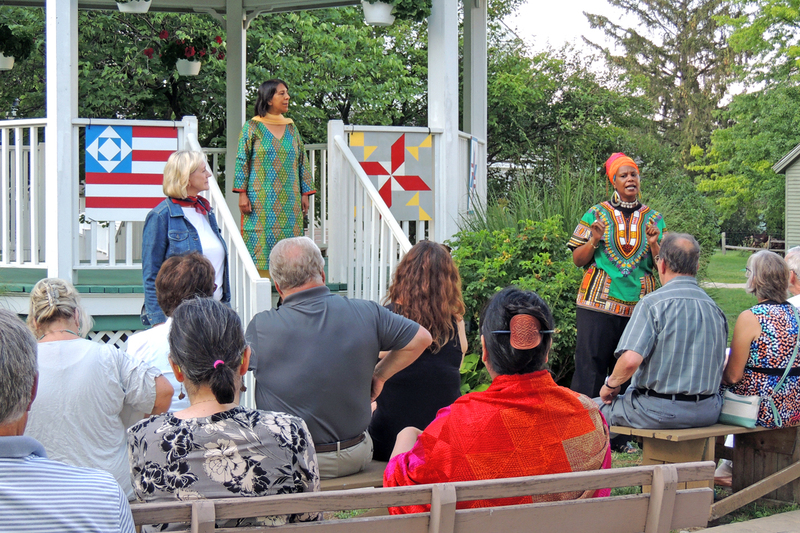 Threads Play Finale with Padma Kuppa in the audience. 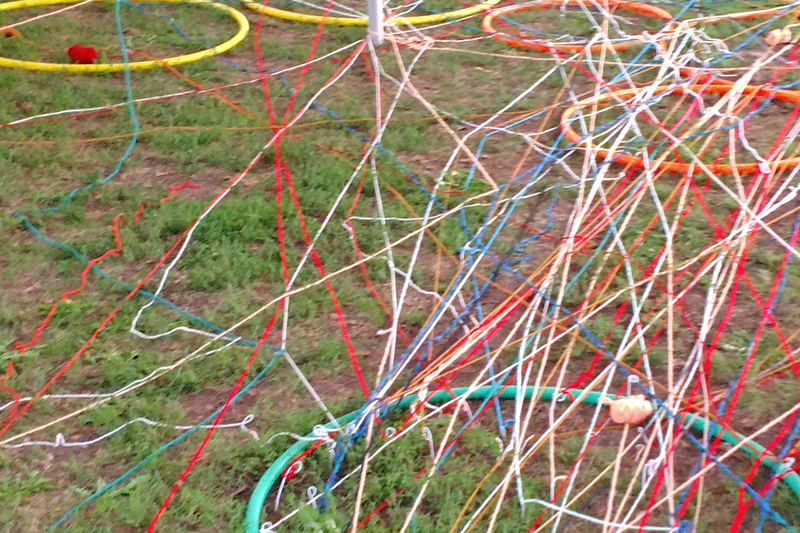 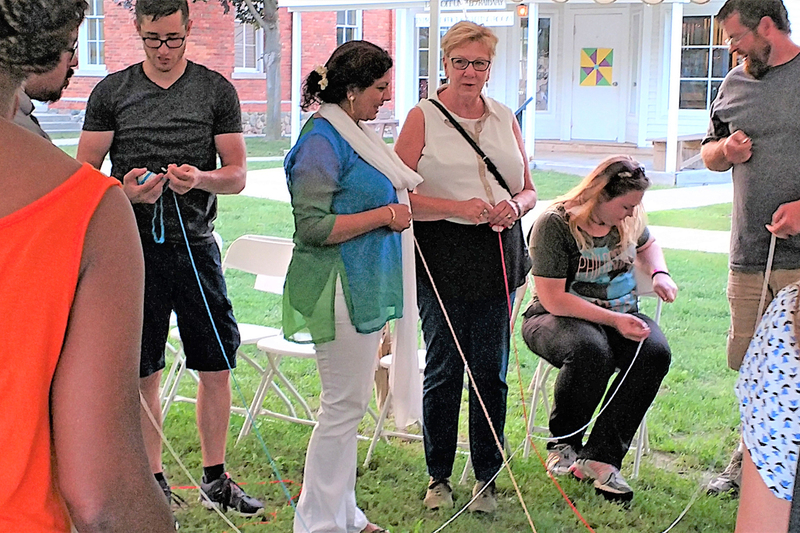 Threads Play Finale showing the Yarn "overlap" audience activity. 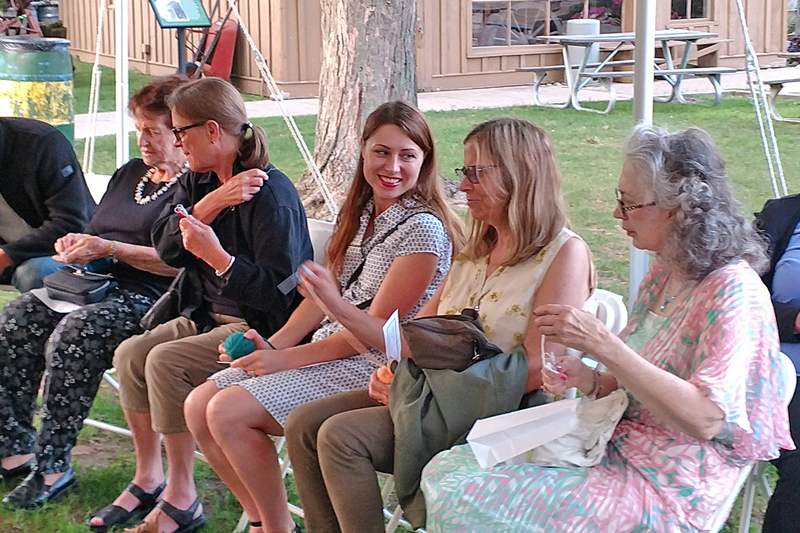 Threads Play with the audience seated in the Village Green tent.